This is the standard FRONTX Casing, fits into a 5.25" drive bay of computer system. All FRONTX ports are designed to be slotted into the port holding bays of this housing. This product item is included in CPX100 FRONTX Multimedia Ports. 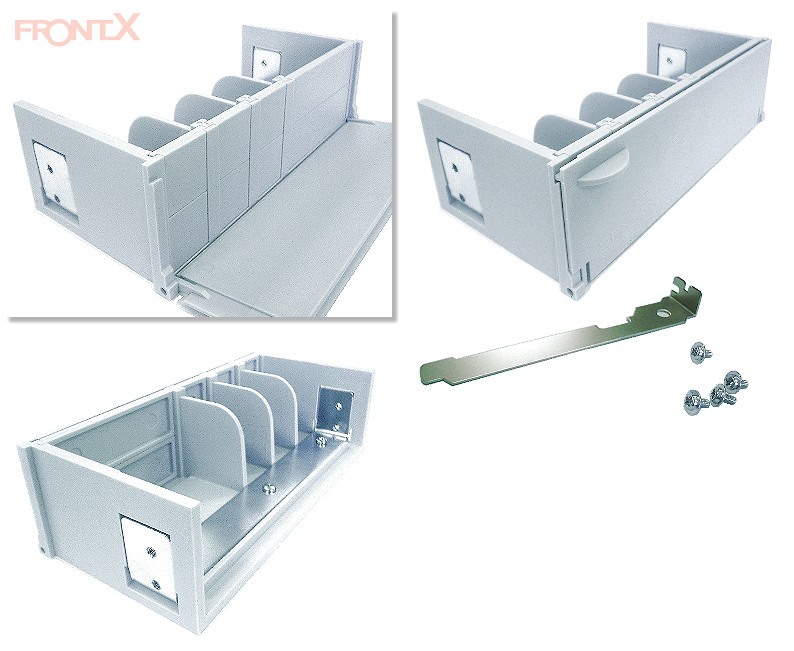 FRONTX Casing has 3 small bays and 1 large bay.